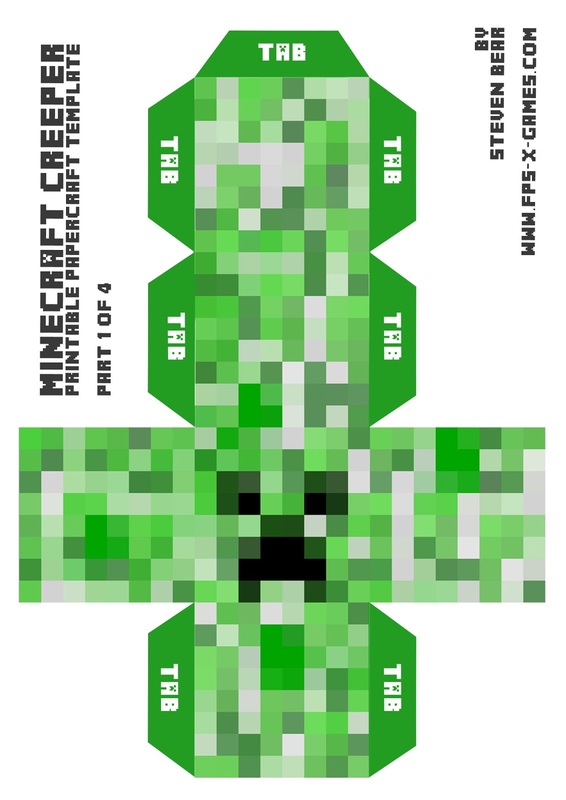 In this awesome Minecraft instructable I'll show you how I made an over sized Creeper using printable papercraft. This could be used as a piñata, target practice, birthday activity or just to go on your shelf. An A3 printer, A4 will also work. Printing paper, I used A3 210gsm gloss photo paper. Scissors or X-acto knife and steel ruler, what ever you prefer. If you're using an A3 printer your creeper will stand about 12 inches tall. If you're using an A4 printer your Creeper will stand about 6 inches tall. Before getting started I recommend watching the short video tutorial I did on this for a better understanding. 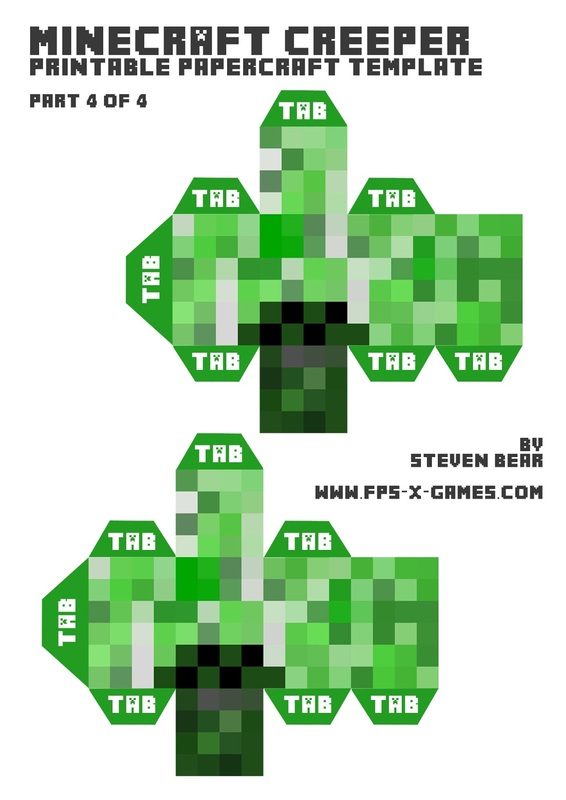 When printing the Creeper templates be sure to check the settings so that the templates fit the printable page. The templates are designed for A4 but can be enlarged to A3. There are four printable templates in total, head, body and 2x feet. I printed on 210gsm gloss photo paper. Once printed, simply cut out using scissors. Take your time, the neater the job the better result. Next fold all the tabs and lines for each body part. Again, take your time, the neater the job the better result. Once your happy with the folding the next step is to glue together. Be sure you understand how each individual part goes together before committing to gluing. Now that all your individual body parts are glued and dried it's time to assemble your Creeper. Start by glueing the feet together in criss-cross walking motion (see image). Attach the feet to the body, I used super glue as it's faster setting than PVA. Next glue the head on and you're done. Have fun and be sssssssssssssssafe.